We are so excited to show you a fun way to reuse cups and straws to create Olympic inspired Games and Projects. 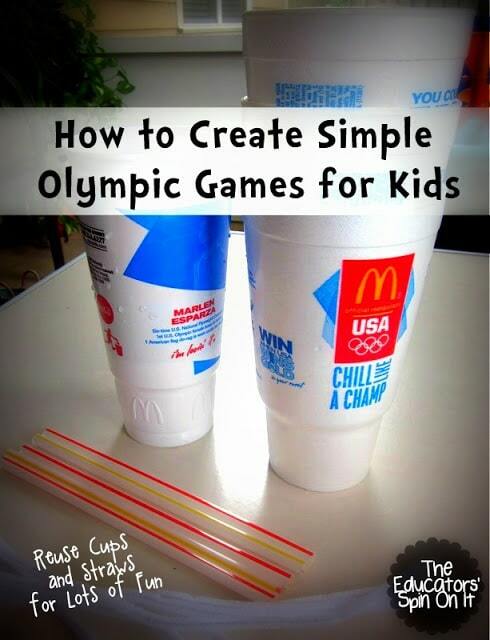 We saved a few cups from our road trips this summer from McDonald’s, one of the Olympic sponsors. 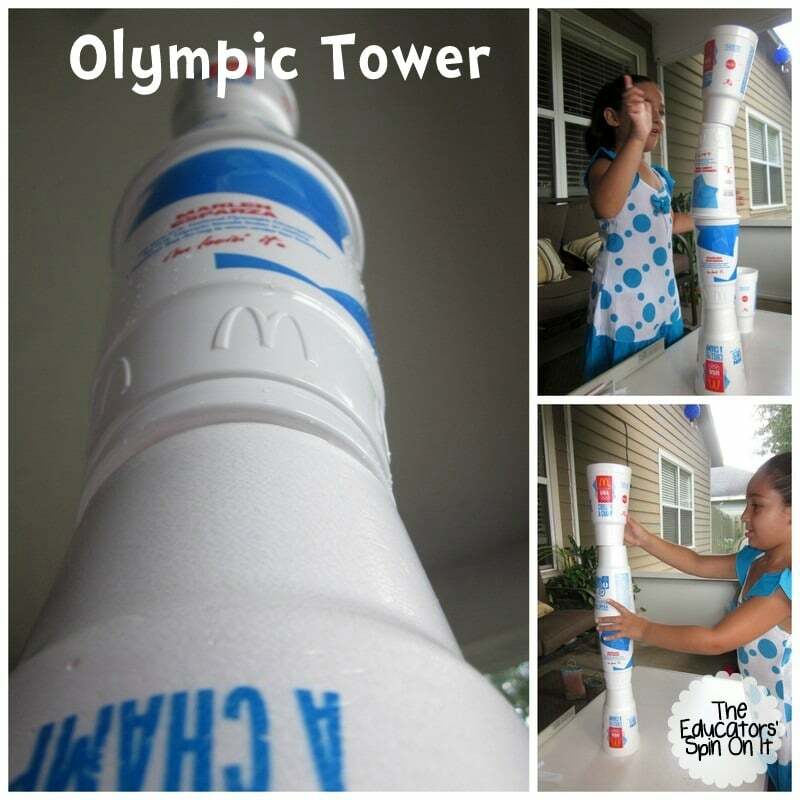 Their USA cups inspired us to have our own Olympic Games at home. 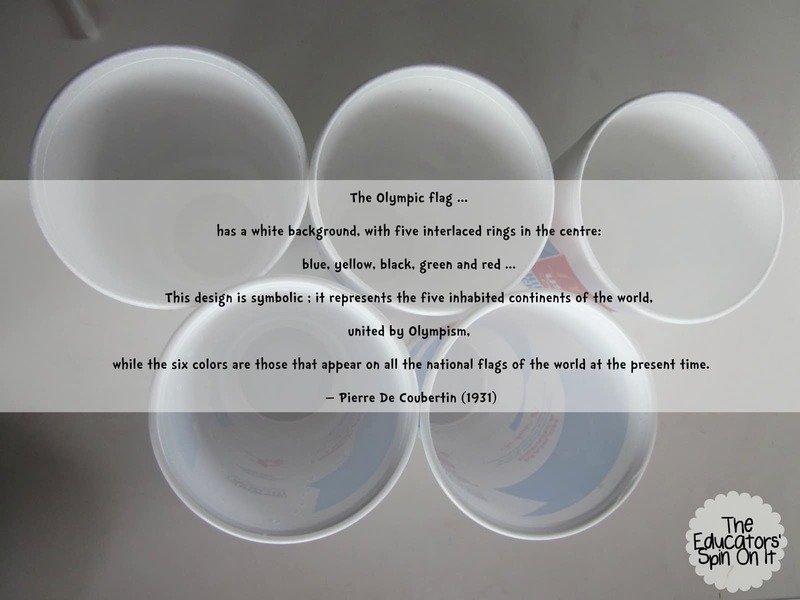 Come join the fun and create your own Olympic fun with CUPS! 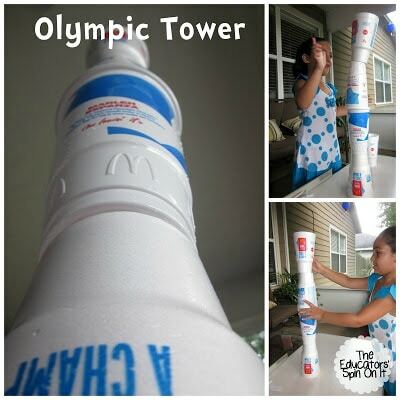 Using as many cups as you can stack them up without letting them fall. Using light weighted balls see who can get all 3 into the cups without knocking them over. 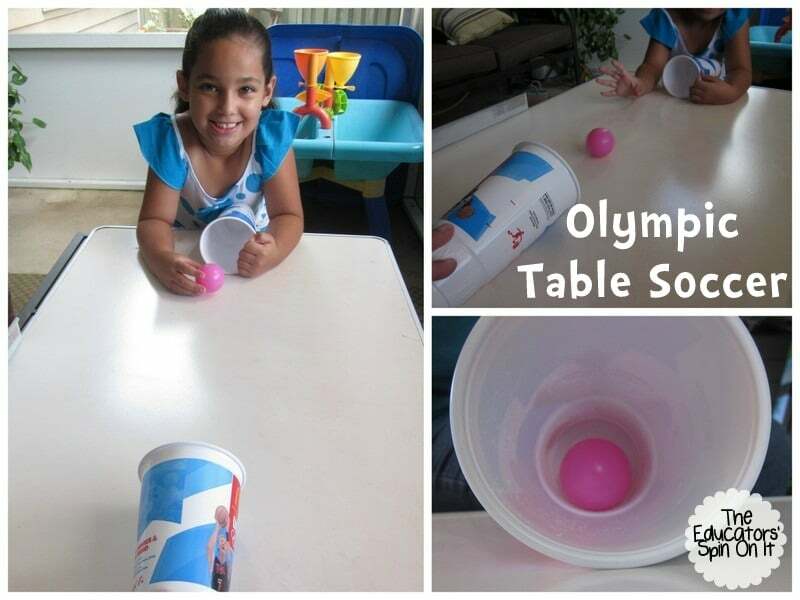 Using a ball put two cup goals at the end of the table and see how quickly you can score goals in a minute! 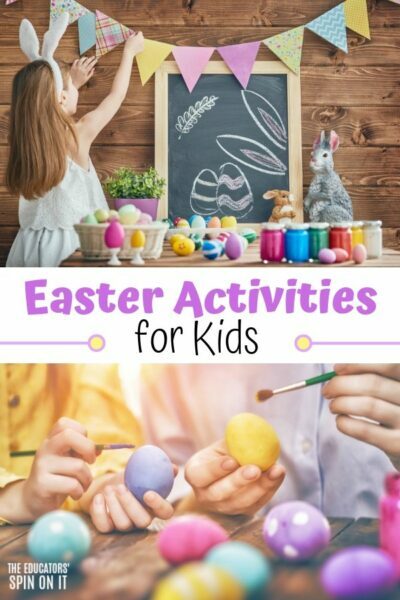 Use a smaller ball to make it more difficult for older children. 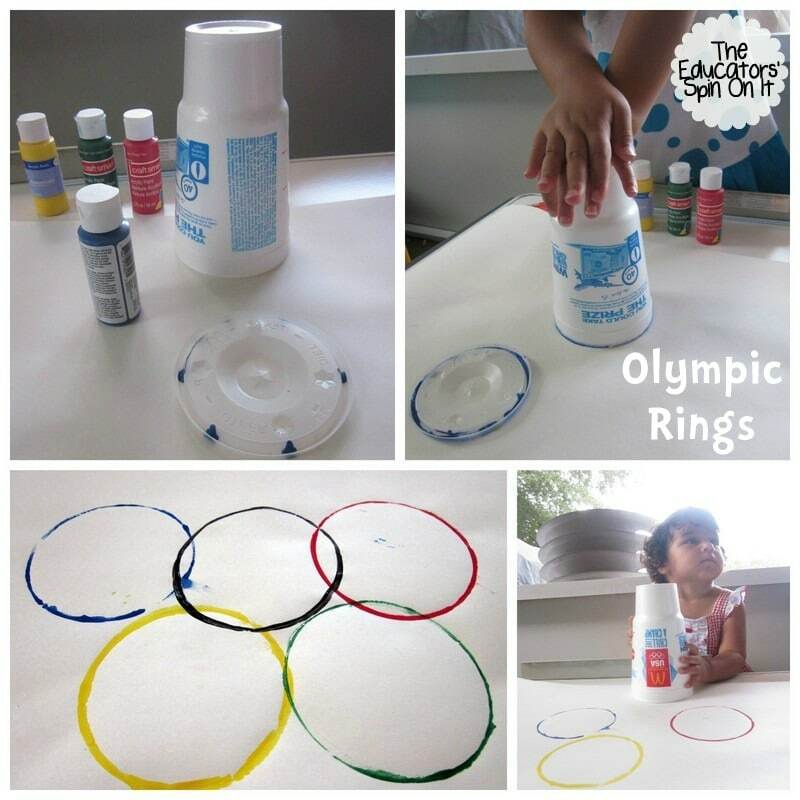 You could also use Color Paper Beads to make the Olympic rings or Bracelets with Red, Black, Blue, Yellow and Green! 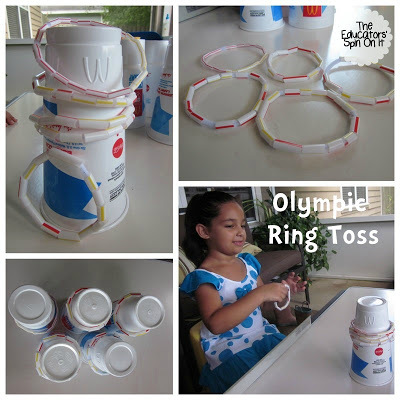 Here’s how to make your own Ring Toss Game. 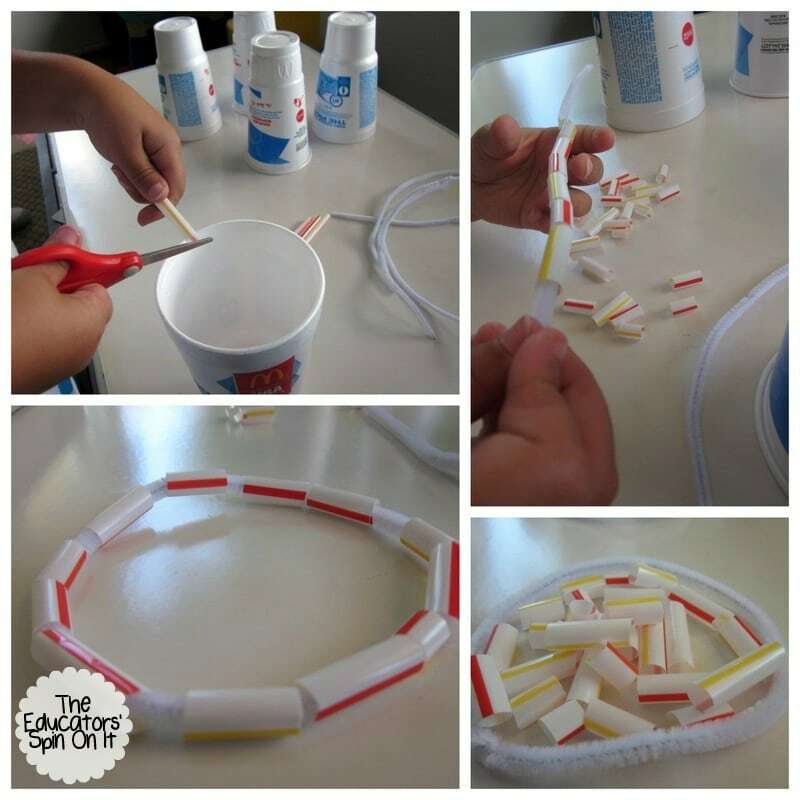 Using straws, pipe cleaners and cups you can create your own rings. Simply have your child cut the straws into tiny pieces and place them onto the pipe cleaners. 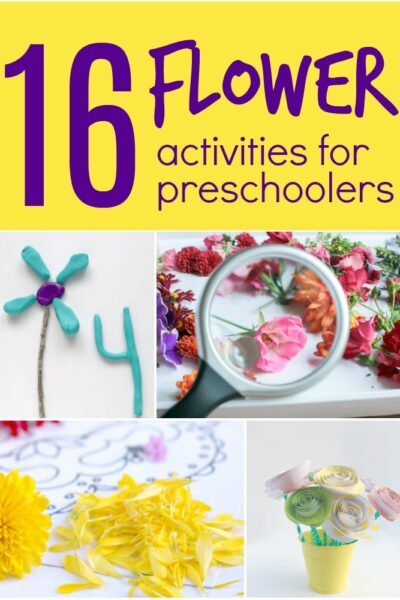 Great for fine motor skills for handwriting. 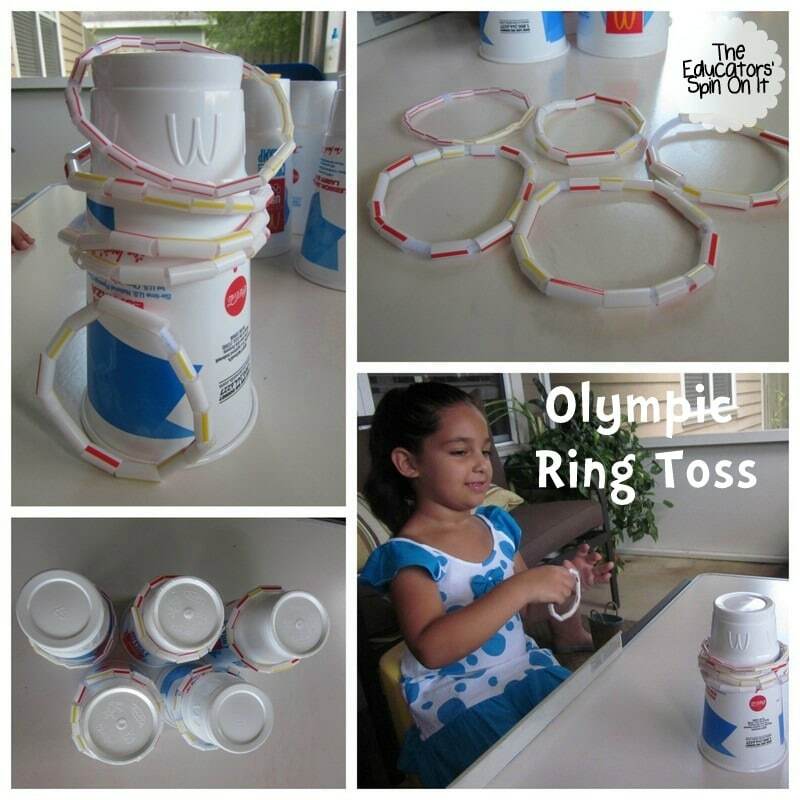 Then stand back and toss the rings onto the cups. 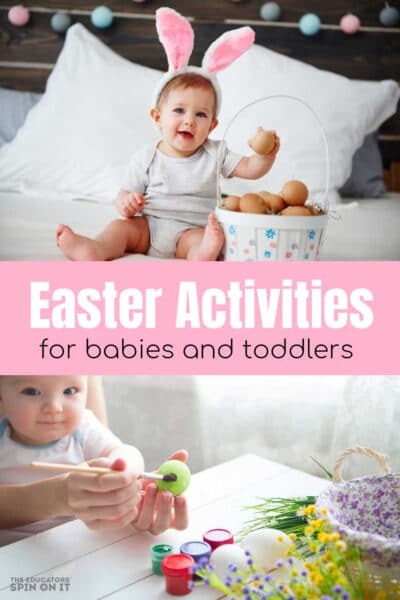 This is such a fun game for any age. 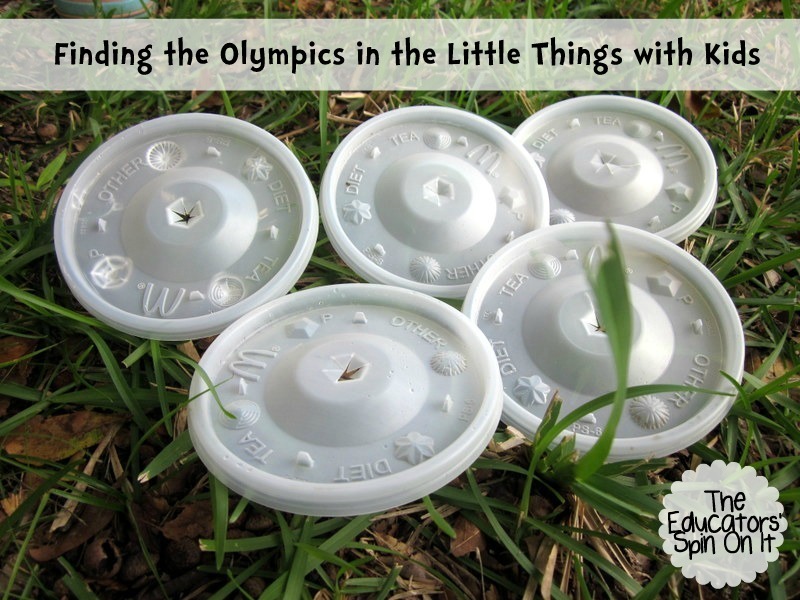 You would be surprised at how hard it is to really make a lid fly in the air. 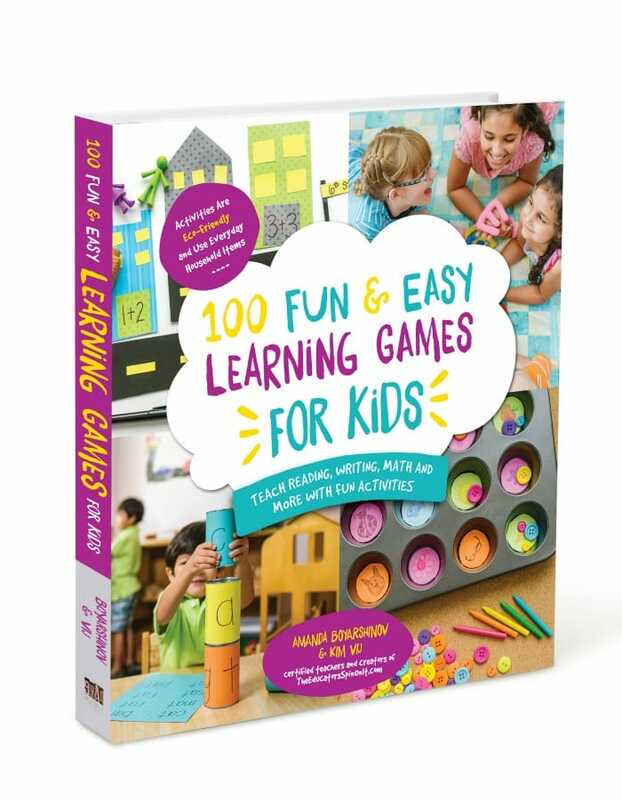 What out the wind makes this games super fun and challenging for all ages! 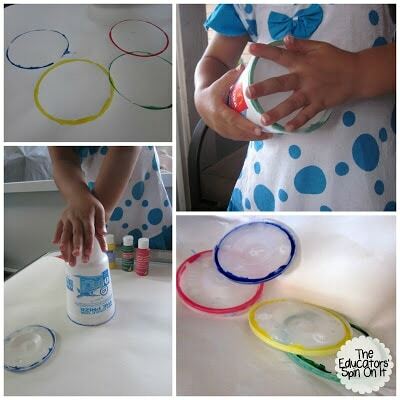 Simply try to catch a balloon in your cup and carry it across an area without letting it blow out. Create your own Olympic Rings with the cups and lids! 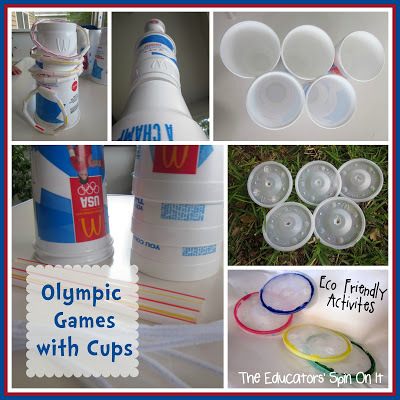 We really had a lot of fun creating signs for our Olympic Games using cups with lids. Plus both of my children ages 1 and 5 could participate together and have lots of fun learning about the colors and symbols of the Olympic Flag. 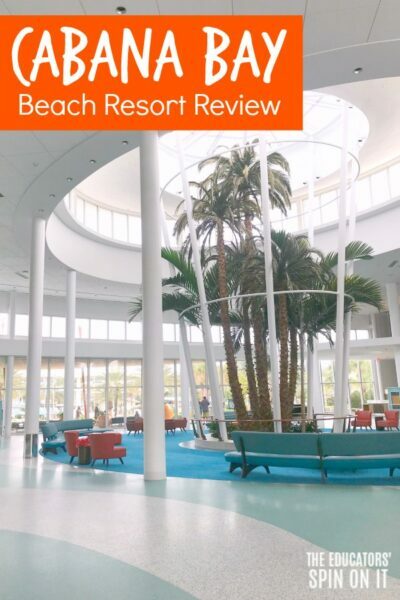 The best part was that it was mess free. We used the lids to hold the paint and with a simple turn the whole top of the cup was covered in paint and not our hands! 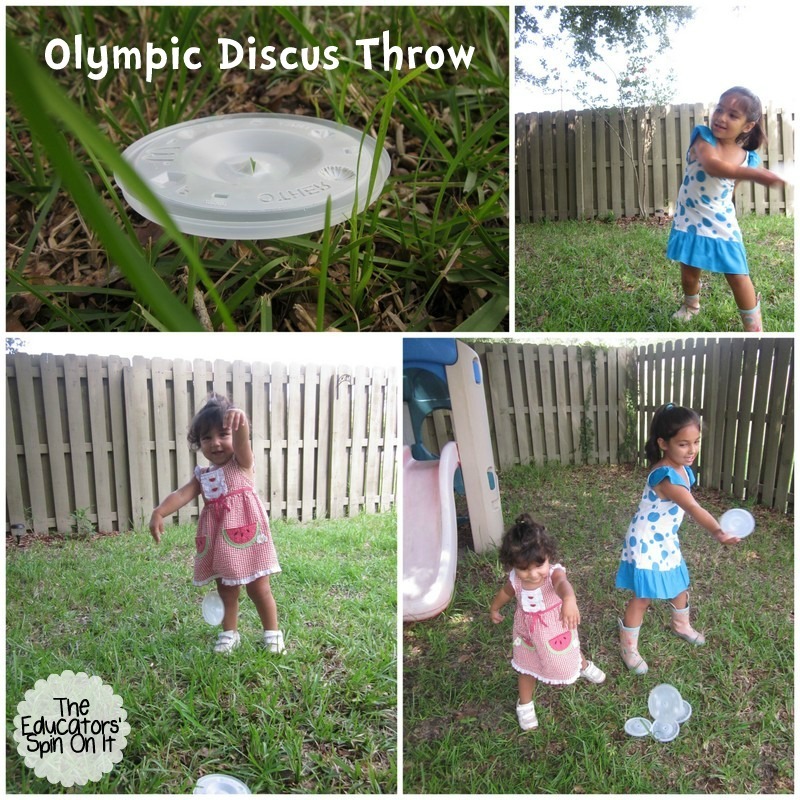 Then we we were done we even had some colored discs for our next Discus Toss Game! 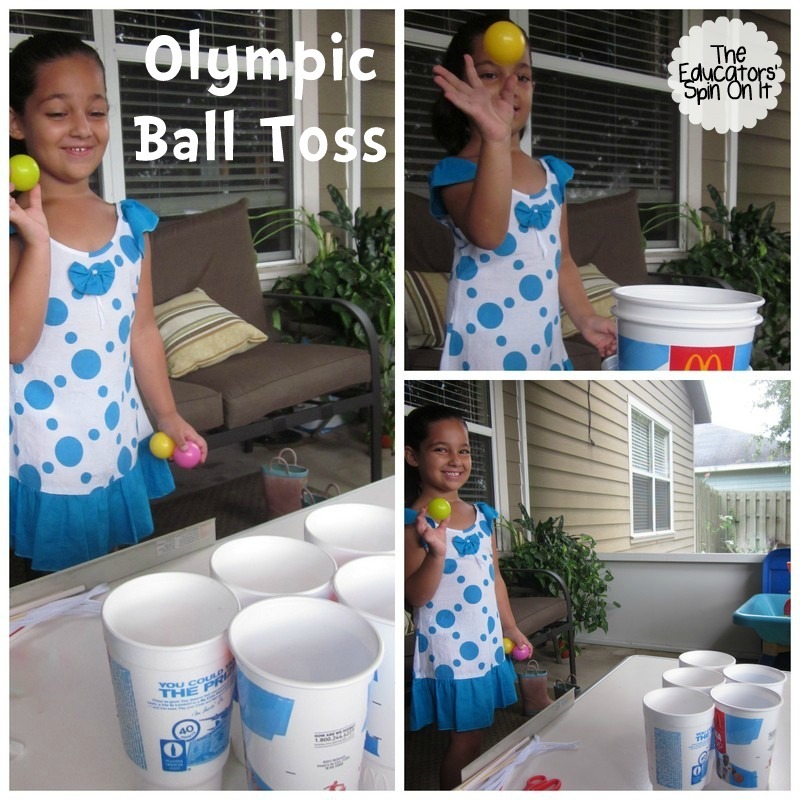 We had so much fun with our Olympic Games. I loved that were were able to reuse cups in a fun way too! Think of how many times you’ve just thrown your plastic or styrofoam cup away. 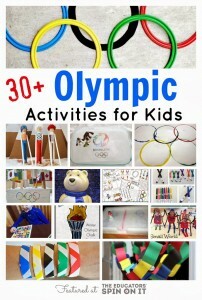 Now it’s your turn to join the Olympic Fun with your Kids. 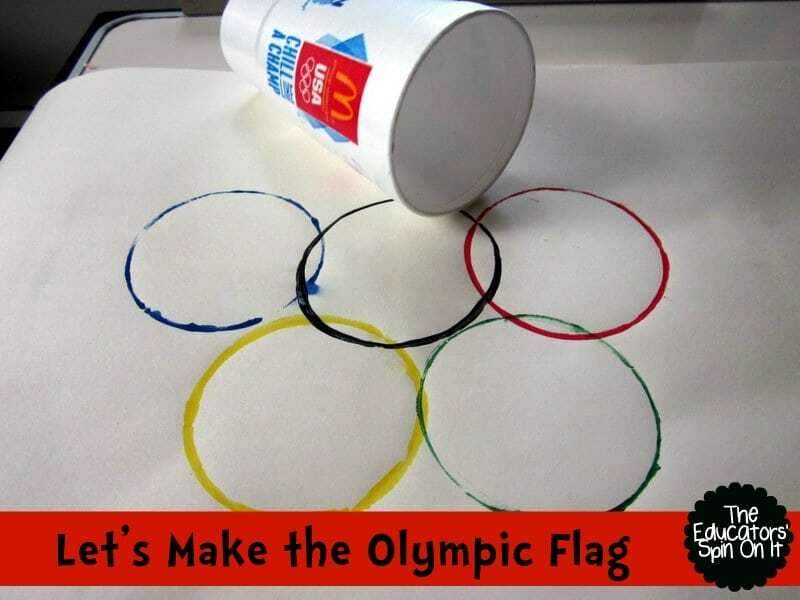 If you have an Olympic Themed idea, we’d love for you to share it too! 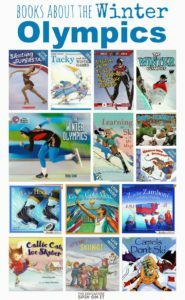 Check out these Olympic Activities and Books for Kids! Yay for mess free crafts!!! 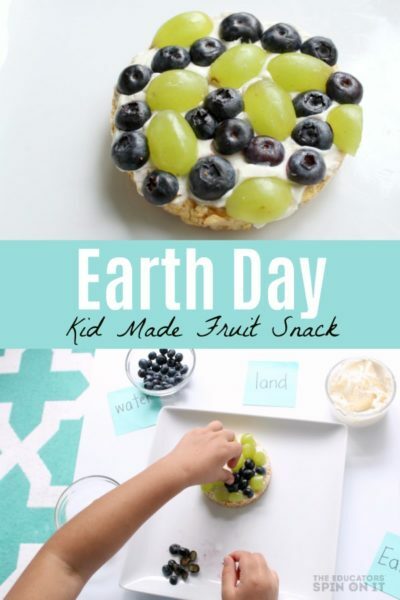 I love love love these ideas! 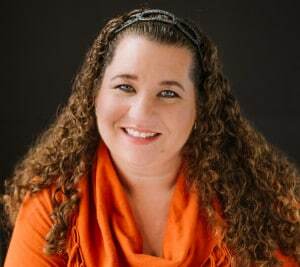 I have featured you on my blog. 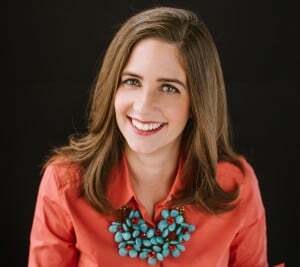 Please come over and get a button!